Over the years I slowly learned better, but the questions never really went away: How should I tip? What’s the best way to order a drink? How can I get the bartender’s attention without being obnoxious? In interviews, 15 current and former bartenders outlined the common etiquette shared by dives, biergartens, speakeasies and everything in between. By tending to good bar culture, they said, you’ll have more fun, win the favor of your favorite bartenders and avoid gaining a bad reputation. No two bars are exactly alike, but they grow more similar as people pour in, and bad patrons pop up everywhere. 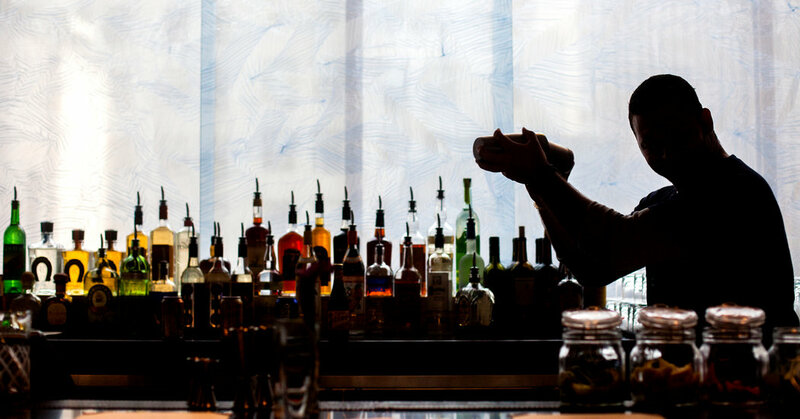 “If you’re the person waving a $20 bill at the end of the bar and saying, ‘Hey chief,’ nobody likes that,” said David Wondrich, senior drinks columnist for The Daily Beast. Whistle, snap or shout, and you will probably wait. One exception: scribbling imaginary pen to imaginary paper, the universal call for the bill. The best way to get a bartender’s attention, they suggested, is simple acknowledgment, like eye contact, easily made when a bartender looks up from the register or starts a new run from one end of the bar to the other. Then patience. Bartenders also urged patrons not to separate specific drinks from a group tab. Mr. Regan suggested groups write down orders on a phone or paper to clear up confusion in a loud bar. On a lazy weekday evening, feel free to ask questions, mull the menu and order its most complicated cocktail. On a packed Friday night, a bartender will not enjoy muddling mint for a mojito. Similarly, avoid orders that run counter to a bar’s strengths: A dive most likely won’t have a witch’s cabinet of cocktail ingredients, and a wine bar won’t stock a cellar of ales. Mr. Turback said a common pet peeve was when patrons make an order “you yourself know is a little odd.” Bartenders want to help, he said, but patrons who meet them halfway will have better drinks and faster service. Jacob Tschetter, a bartender at Grand Army Brooklyn, said “a truly bad patron is one who’s bad with physical boundaries.” Mr. Tschetter and several others described unsolicited touching — arms, shoulders, hair, beards — as a cardinal sin of the bar, and one that disproportionately affects women. “You have to remain dignified because it’s your place of work, but you’re thinking, Don’t touch me,” one Brooklyn bartender recalled, with a request for anonymity after she directed a curse toward offending clientele. Bartenders want to make customers happy but said a bar was no one’s home. At hotel bars and local pubs, children and dogs wear out their welcome with nightfall. As bars fill up, time expires on saved seats. In a nightclub, backed by music and lit by strobes, affection is often made public; around a scotch bar’s quiet chatter and squeaky upholstery, it’s better kept private. Bars try to cultivate an environment — raucous or bookish, lavish or Irish — and upsetting that quality can mark a patron in the eyes of staff. There’s no magic to becoming a regular, but friendliness goes far. Noting that in many states bars can be held liable for customers, Ms. Brown said “a good bar citizen” could look out for potential trouble and alert bartenders to people who seem too intoxicated or at risk. “Safety trumps etiquette,” she said. Bartenders suggested only a few loose rules for tipping, because, like ordering, tipping largely depends on a bar’s culture and cost. But they said patrons should give at minimum a dollar per beer or wine, $2 per cocktail, or 18 percent to 20 percent. Don’t leave change on the bar, and in the event of a free drink, tip for its full price. Like waiters, most bartenders rely on tips to pay the rent. When service is bad, consider talking with a manager or deciding not to return, rather than shirking part of someone’s wage. The patron who tips early and well will get better and faster service. If you hope to become a regular, tip early and often (though remember that tips don’t purchase permission to stay late or act out). And while you can always offer to buy a bartender a drink, don’t be disappointed if house rules forbid it.